7 May 2018 - Energy is central to the achievement of both the 2030 Agenda for Sustainable Development and the Paris Agreement on climate change. 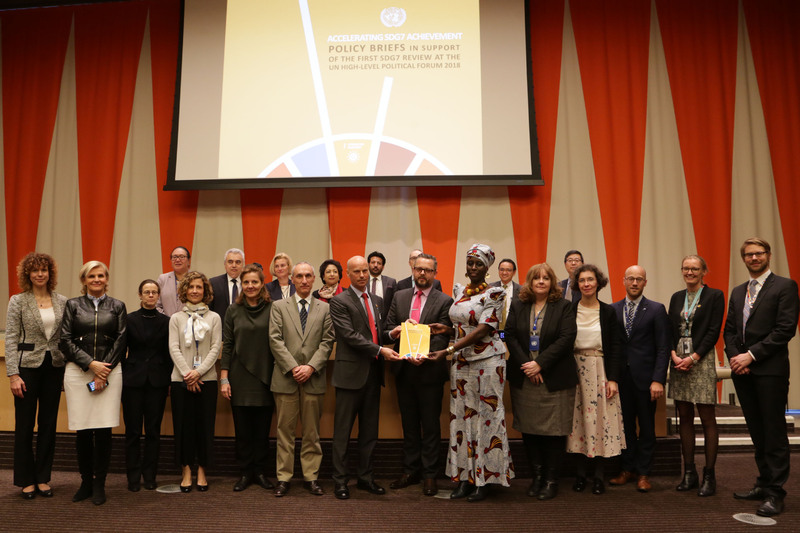 A series of 27 policy briefs produced by 50 global energy authorities from within and without the UN System was debuted to provide recommendations and best options for countries to work towards ensuring access to affordable, reliable, sustainable and modern energy for all. A Global Agenda for Accelerated SDG 7 Action is put forward by the SDG 7 Technical Advisory Group to serve as a foundation for concerted action by governments and all relevant stakeholders to fill the current gaps in progress on reaching the SDG 7 targets. It represents a collective response to tackling global challenges with the aim to help all stakeholders step up, focus and scale up their actions towards the achievement of SDG 7.